Until February 17th, the VMFA will be hosting the Hollywood Costume exhibit. The exhibit features costumes from many decades of film, including costumes from Cecil B DeMille movies made nearly a century ago. Until February 17th, the VMFA will be hosting the Hollywood Costume exhibit. The exhibit features costumes from many decades of film, including costumes from Cecil B DeMille movies made nearly a century ago. It also features interviews, stills, and detailed information on costume-related aspects of the relevant flicks. The exhibit entryway is like entering a ride at Disney World. Located downstairs, the entrance is dark and mysterious, set up like the back entrance to a Hollywood stage. There are many-colored lights and epic music in the background. 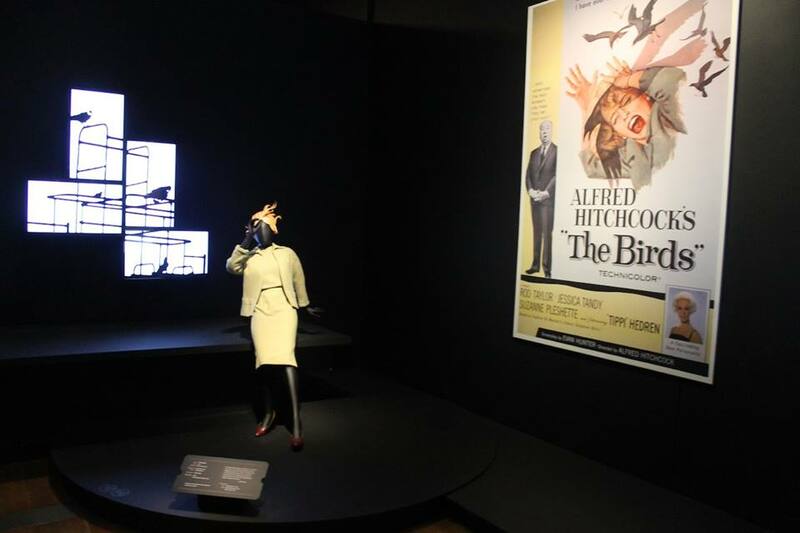 Before you enter the exhibit, placards are set up, describing the costume-making process and its importance in films. There are stills of costume makers, busy working in stifling environments from decades past. There are also stills of actors backstage preparing to film, some getting their clothes ironed while they are still wearing them. The information presented throughout the exhibit is thought-provoking, describing the difficulties of costume-making. Those making the costumes for movies have to not only “design, buy, rent, or manufacture” these clothes and accessories, but also “mirror the mood” of the film or play, all the while “realizing the director’s vision.” The placards also described the translation of costume design from the three-dimensional world to the two-dimensional world of film on-screen. 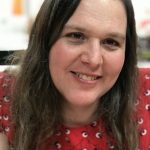 The exhibit placed a lot of emphasis on the importance of those behind-the-scenes, working hard to create the illusion of reality for audiences. The costume designers don’t take inspiration merely from everyday life, but also “literature, art, childhood memories.” Some of the costume elements are not what you would expect; One of the Camelot costumes from 1967 was a dress containing shells and bleached pumpkin seeds. Some inspirations for Indiana Jones’s costume in Raiders of the Lost Ark were the boots of construction workers, and the pants police officers wear. Sidenote: The Indiana Jones costume was displayed complete with whip! The mannequins throughout the exhibit were placed in interesting ways, which gave the exhibit life. Interviews were also featured, some for instance being placed in unusual angles next to the costumes they were discussing. In the midst of the Sweeney Todd costumes, there was a rotating barber light upon a rolling pin. The exhibit had the entire Addams Family outfit set, which was displayed along with a faux fireplace and several other gothic decorations. The exhibit featured many, many costumes. Some costumes were from movies with remakes, like Cleopatra, and the original films’ costumes were placed against the newer costumes. In these instances, the authenticity of the costume design was addressed. 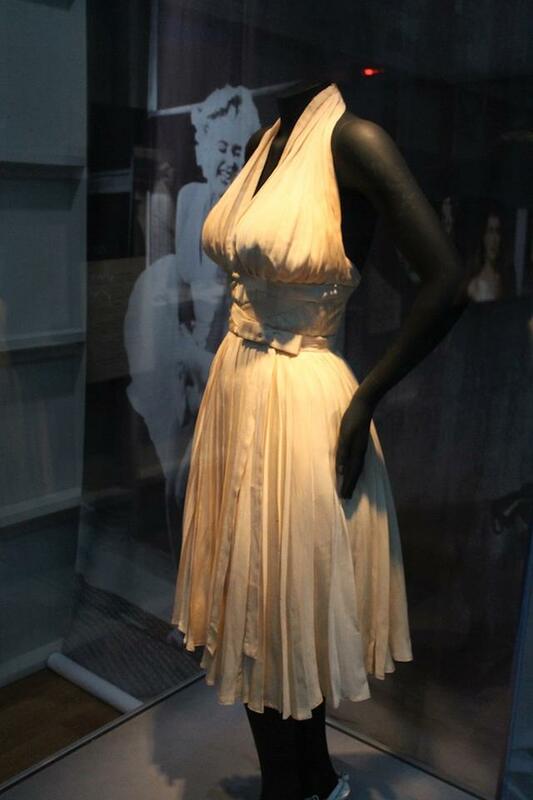 The exhibit also contained costumes from several De Niro films, (such as Taxi Driver and Casino), costumes from Titanic, Moulin Rouge, The Wizard of Oz, Kill Bill, and also Marilyn Monroe’s iconic “Subway” dress. At the end of the exhibit, there is a gift shop where visitors can purchase movie and exhibit memorabilia. The Hollywood Costume exhibit contains many other costumes besides the ones mentioned here, and all are worth seeing. To check them out, visit the VMFA, located at 200 N. Boulevard, before the exhibit closes on February 17. Tickets can be purchased here for $20–or get in free by purchasing a VMFA Membership. Students can purchase tickets for an entire year’s worth of exhibitions for only $10.